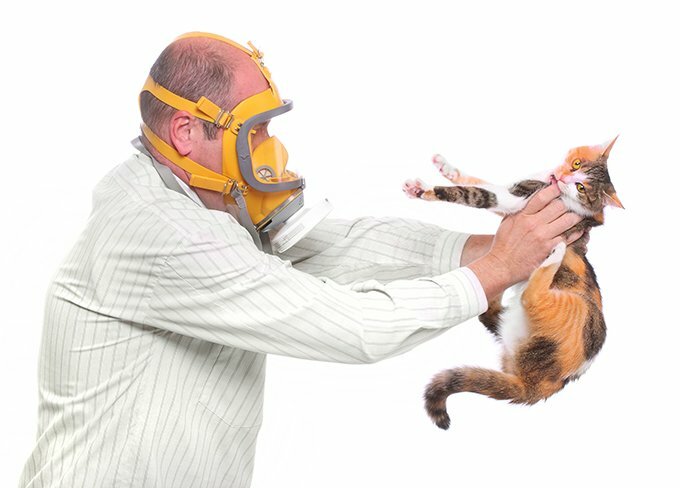 Can You Die From A Cat Allergy? 10% of the human population has pet allergies, and cat allergies are twice as common as dog allergies. This cat allergy can be mild, moderate, or severe. But can a cat allergy be so severe that it could be considered lethal? Here is everything you need to know about cat allergies. Can Cat Allergies Cause Anaphylactic Shock? Allergies, in general, can become lethal if they cause anaphylactic shock. Anaphylaxis is a rare but severe allergic reaction that can occur suddenly, escalate quickly, and potentially even be deadly. The most common triggers for anaphylactic reactions are food (such as peanuts and shellfish), latex, medication, and insect stings. Although cats are not listed as a common trigger for anaphylactic shock, that does not mean the idea of cat dander causing anaphylactic shock is completely out of the realm of reality. Anyone who would suffer an anaphylactic reaction to a cat is most likely someone who already suffers a severe allergy to cats and is aware of their condition. A cat allergy that makes you a little sneezy would almost never suddenly escalate to an allergy so severe to cause anaphylactic shock. While the odds of anyone going into complete anaphylactic shock aren’t high, severe allergy symptoms could lead to death if not treated accordingly. The same allergens that cause watery eyes and itchiness in one person can cause an asthma attack in others. A person suffering from allergic asthma could have increasingly severe symptoms the more they interact with a cat. If not treated and removed from the cat environment, severe allergic asthma attacks can restrict the airways in a deadly manner. Can I Still Live With A Cat If I Have Severe Allergies? Most allergists and health professionals would highly suggest NOT living with a cat if you have cat allergies so severe to cause a potential allergic asthma attack or if you have experienced anaphylactic shock in the past caused by any allergen. And while we here at CatTime love cats, if you don’t already have a cat, we would not suggest getting one if you have severe cat allergies. There are people, however, who do find a way to live with cats, even with the worst of allergies. For example, a woman married a man who had a family cat, and she moved in and loves this cat, even though it can literally kill her. There are lots of allergy management strategies to use if you are already living with a cat and experience any amount of allergic symptoms. Do you or someone you know have what is considered a deathly allergy to cats? What do you do to make sure you are healthy and safe? Let us know in the comments.